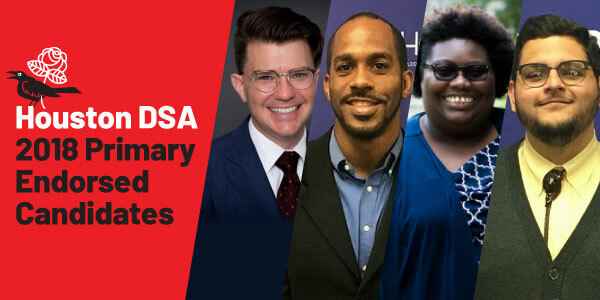 HOUSTON – Houston DSA, the Houston Local of the Democratic Socialists of America, announces the endorsement of three additional candidates for the March 2018 primary, bringing the total number of endorsed candidates to four in this election cycle. The endorsements took place via a majority vote of the organization’s membership at its January general meeting on Thursday night. Houston DSA’s list of endorsed candidates includes: Franklin Bynum, candidate for Harris County Criminal Court #8; Danny Norris, for Harris County Department of Education Board of Trustees, Position 6, Precinct 1; Fran Watson, for Texas Senate District 17; and Ali Khorasani, for U.S. Congress, Texas’ 2nd congressional district. For press inquiries, please contact info@houstondsa.org. We’re the Houston local of the Democratic Socialists of America, the largest socialist organization in the country. We fight for more democratic control of our politics, workplaces, and communities. 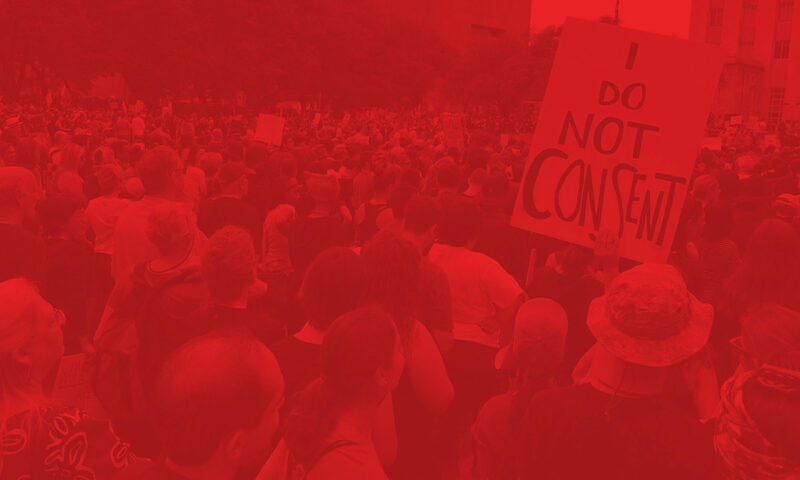 Our members build and support progressive movements for social change while establishing an openly socialist presence in U.S. communities and politics through activism, political education, and community organizing.